You know how "they" say we're a generation of wanting instant gratification and then we're reminded that we must work hard for what we get? Well, that's not necessarily true. If you are trying to find how to be happy and not only that, how to also have some or all of the things you want in life, please know that it IS possible. And it's not hard. It's actually easy and fast if you simply follow the 7 keys in this book. The keys are also easy and quick to do! Two seconds is not an exaggeration. The most important thing you can do that gives you the instant gratification mentioned above only takes two seconds! It's a technique that can not only change your life, but could change the world! You can be filled with joy and you don't have to pull up and examine all of the things in your life that have ever occurred to figure out why you're not happy. You only have to follow the keys in an easy daily routine. Sadness and depression will fall away. Stress and worry will cease. Your natural energy will return. Seeming miracles will begin to occur. Your health will improve, both physical and emotional. Your mood will change. You will be able to overcome trauma that has occurred in your life. You will be led to the right people, the right places to bring about your heart's desires. McCartney Green's life went from depression and drudgery and struggle to freedom and joy and living a life she'd never dreamed possible. McCartney Green, sometimes known as "The JOY Lady," is the of author 13 books (so far,) an inspirational/motivational speaker, a spiritual mentor and life transformation coach. 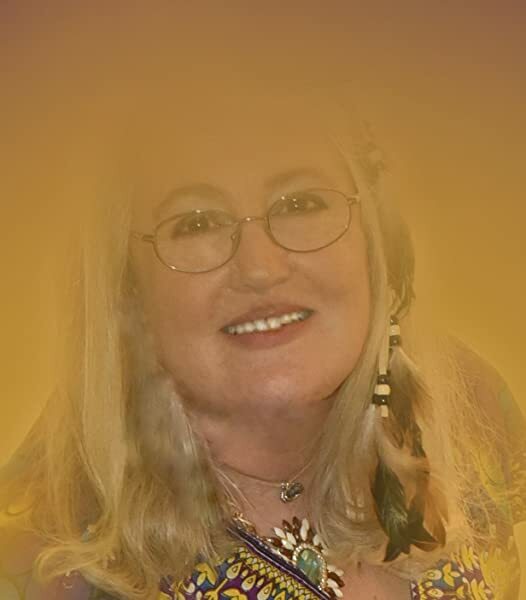 Her books include an epic 8-book romantic action-adventure series called Dandelions Never Die, and several inspirational books about spiritual alignment, making the law of attraction work in our favor, living on purpose, ending racial tensions in America, and finding true unshakeable joy. McCartney Green married young and gave birth to seven beautiful children. Like many women, she lost herself under the labels of wife and mother. Her life took several turns for the worse which ended in an attempted suicide, but then she had a divine intervention and she found herself again when she found writing. "The moment I sat down with a pen and a spiral notebook, I knew I'd found my passion. When I'm writing I'm happy. When I'm writing AND speaking... I'm fulfilled. It is my bliss!" Now, her romance stories have taken on a new and surprising phase. They've become therapy for those who read them. People are awakening as if coming out of a deep slumber. Suddenly, they're aware of so much more going on around them. Suddenly they are finding beauty and peace in the smallest things. They are beginning to understand that there is so much more to life than what they thought. McCartney is taking a "novel" approach to her writing by encoding amazing, inspirational, life-changing messages into her fiction stories. McCartney says, "What could be better than curling up with a juicy book to enjoy hours of entertainment while at the same time you begin to experience a change within yourself - mind and body? Reading these novels makes it almost "too easy" (inside joke) to align yourself with higher vibrations. You will begin to feel a difference within your heart. You will begin to feel a stirring. If you've been traumatized by anything in your life, it will begin to heal. You will find yourself smiling at odd times during the day. "It's time to awaken, beautiful women of the world and know your true worth!" 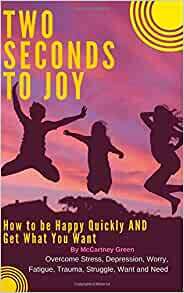 Start reading Two Seconds To Joy! on your Kindle in under a minute. For me being a person with a terminal disease, this book opened my eyes to a future of hope. Not a hope of curing me, but a hope of learning how to better deal with it. I feel from my heart that this book could be helpful to people from all walks of life. They have, as I do, just need to take the time to apply these methods of hope and understanding. At this time in my life this is just what I needed. I feel that I am a fairly happy person but I do have a lot of negativity running through my mind. I have the hardest time letting things go. This has really held me back. What I have read here make perfect sense. Now it is time to learn to look at life differently. I have read most of McCartney Green's book and everyone of them has the most positive outlook. I loved this quick read. It's just so inspiring to read a book that is written from a place of love and caring for the happiness of others. McCartney Green doesn't uncover some hidden magic formula for happiness, because there is none. It's all there right in front of us and this book gives encouragement, support and simple paths to finding the joy that is inside all of us. Thanks so much McCartney. You are a revelation. 5.0 out of 5 starsTotally Recommend....InJoy!! I really enjoyed McCartney Green’s easy reading book. 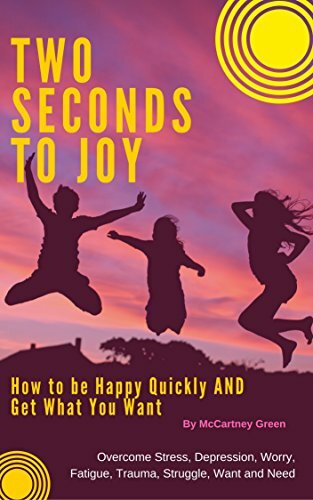 “Two Seconds to Joy” encompasses many elements I coach my clients with as a Wellness Guide. Yet her work is a condensed, simple version that is put in a manner anyone can follow. Ok, so the total practice takes a little more than 2 seconds but people may be surprised at how effective the 2 second step (or Key, as McCartney puts it) actually IS!! I definitely encourage you to read it if you were even remotely contemplating such. You have everything to gain…joy, energy and more! An inspiring read, especially for those- like myself- who tend to lose their way on a regular basis. I love how easy it is to understand the steps and implement them in your daily routine within a matter of minutes! I've already begun again. As usual McCartney Green finds the best way to spread love and light! 5.0 out of 5 starsMcCartney Green proves again true Happiness is always easily in reach! McCartney Green never fails to encourage and instill hope in her audience. She shows in this book that ANYONE can achieve true happiness if you follow her guide and you believe that YOU can. I always say that mood for the day is your choice no matter the circumstance or situation going on around. McCartney Green proves that and trulu put all my "beliefs" into perspective. It is one thing to say it but after reading this it is an entire different thing to believe and implement it into your daily life. Thank you again for a wonderful book to encourage and bring hope that happiness is always within your reach! 5.0 out of 5 starsA inspirational must read!! Once again McCartney Green has nailed it she writes with such truth and heart that you feel good about life and yourself ,she lets you into her soul where we can all feel better about life... I have to say I always look forward to reading what she writes ..A must read. 5.0 out of 5 starsGrateful! Grateful! I'm grateful for this reminder of the "keys" to joy! I particularly identified with "power shield on! "....I tend to be one of those people who are too busy to take the time to smell the roses...this book was a reminder of what I'm missing. This book is an easy read with a great message...it's clear, enjoyable and thought provoking...thank you McCartney!